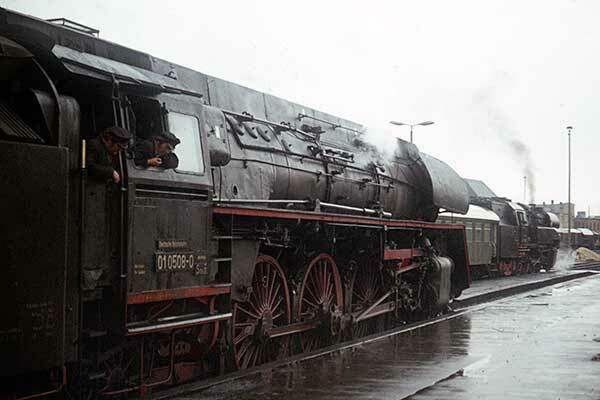 Caption - DR 01 0508-0 at Saalfeld with a BR65.1 in the adjacent platform as the rain lashes down in March 1978. These magnificent locomotives were substantial rebuilds of BR 01s undertaken between 1962 and 1965. This loco started life as 01 153 being rebuilt in 1963.